*This event will be cancelled in case of rain. *Admission may be restricted to ensure the safety of attendees. 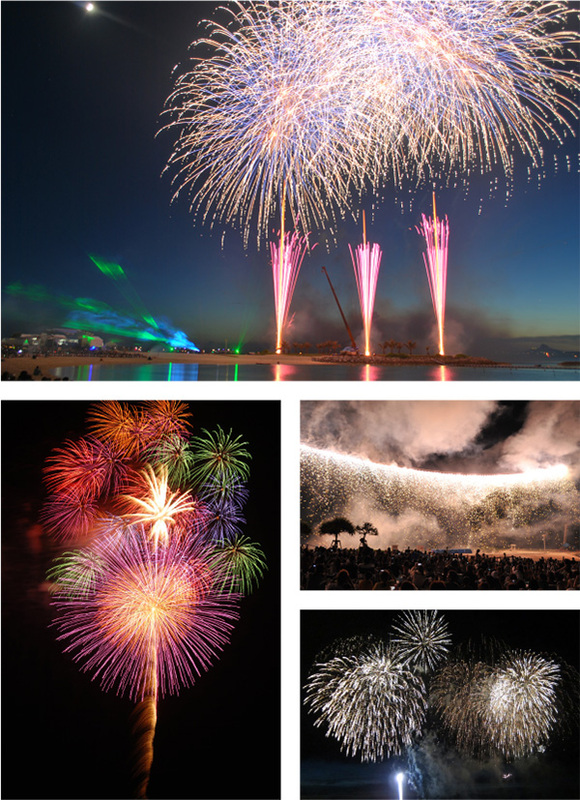 Every year a large number of people show up for this summer festival featuring the largest fireworks display in Okinawa. The festival will leave you spoiled for choice throughout the day; you can swim at Emerald Beach from 8:30 to 19:00 or have fun at popular kiddie beach attractions from 12:00 to 18:00. 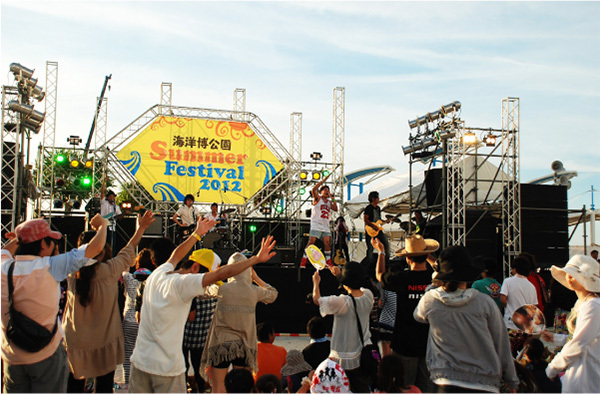 Another highlight of the festival will be the free Sunset Concert where you can enjoy performances by various music artists. 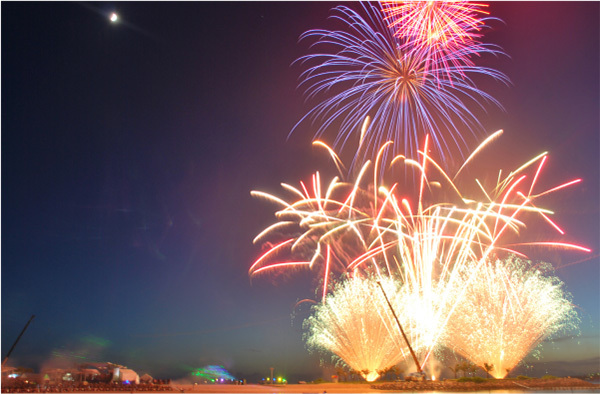 To end the festival, 10,000 fireworks will light up the night sky.